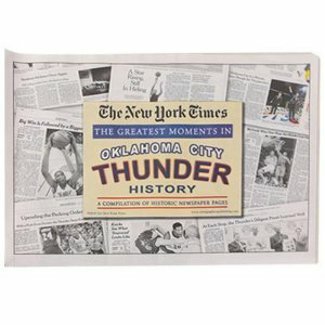 Own your very own piece of Oklahoma City Thunder basketball history with this Greatest Moments collectible newspaper from The New York Times. These are Genuine New York Times reprints that come in a full size newspaper format with pages of New York Times. Each Page Measures: 15W x 22L inches. Terrific memorabilia addition or gift idea for the avid sports fan in your life !